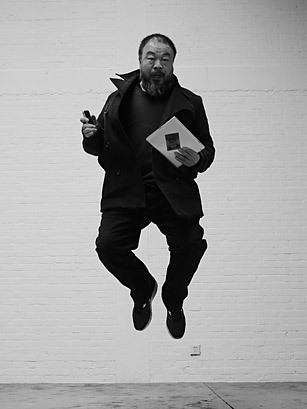 For 81 days last spring and summer, Ai Weiwei was China’s most famous missing person. Detained in Beijing while attempting to catch a flight to Hong Kong on April 3, Ai, an artistic consultant for the iconic Bird’s Nest stadium, was held almost entirely incommunicado and interrogated some 50 times while friends and supporters around the world petitioned for his release. On Nov. 1, Ai, who says the case against him is politically motivated, was hit with a $2.4 million bill for back taxes and penalties. Two weeks later, he paid a $1.3 million bond with loans from Chinese supporters who contributed online and in person and even tossed cash over the walls of his studio in northeast Beijing. The son of a revolutionary poet, Ai, 54, has grown more outspoken in recent years, expressing his anger at abuses of power and organizing online campaigns, including a volunteer investigation into the deaths of children in schools that collapsed during the 2008 Sichuan earthquake. His detention came amid a broad crackdown on activists by the Chinese government meant to stamp out a call for Arab Spring–inspired pro-democracy protests as well as continuing unrest in the Tibetan regions, where 12 people have set themselves on fire since March to protest Chinese policies. Ai, who speaks excellent if not quite flawless English, sat down on Dec. 12 with TIME’s Hannah Beech and Austin Ramzy — and a calico cat, one of nearly two dozen cats and dogs at his studio — to discuss his detention, the poetry of Twitter and whether China is immune to the global forces of protest and revolution. In 1981 you left China with no plans to return, but you came back. Why? Before, I had seen my father and other people criticized or struggled against, but I was not directly involved. Then you see your generation being crushed. You see that this power has no intention of telling the truth. On the one hand it is ruthless, but on the other hand it is so weak. When you are 20-something years old, you realize the only way to protect your dignity is to leave rather than to be damaged by this big machine. You see in your generation people who are destroyed. So I decided I had to leave. After 12 years in New York, I was 36. I heard a lot about how China was different. My father was ill. I wanted to go back to China and pay my last respects. You returned in 1993. How is today’s China different from the one you left? I think two things have changed China. To survive, China had to open up to the West. It could not survive otherwise. This was after many millions have died of hunger in a country that was like North Korea is today. Once we became part of global competition, we had to agree to some rules. It’s painful, but we had to. Otherwise there was no way to survive. But domestically it’s still the same machine. There’s no judicial process or transparency. The other is the Internet. They realized that it was also important to surviving. It’s also related to survival. But to use it, they had to open up. They could not completely censor the information and the knowledge available there. These two things completely changed the character of this nation. The IE Humanities Center is a member of the Consortium of Humanities Centers and Institutes, an association dedicated to the fostering of knowledge related to the humanities and interpretive social sciences. The IE Humanities Center is also a member of European Consortium of Humanities Institutes and Centers (ECHIC), a university based initiative to organize the European Research Institutes and Centers for the Humanities.